This fall HopeNow has arranged a number of workshops to educate HopeNow volunteers. Volunteers are essential for HopeNow’s work for and with trafficked people in Denmark. We wish to educate and qualify our dedicated volunteers, to enable them better to support the trafficked people they are in contact with. Therefore, the volunteers of HopeNow will be invited to a number of workshops with acknowledged trauma- and psychotherapists, experts in human trafficking, law, NGO collaboration and African culture and religion. Our goal is to educate the volunteers and give them tools for the work with marginalised people in vulnerable situations.In September HopeNow held the first workshop for volunteers. The workshop was a general introduction to human trafficking with both a national and international perspective. Anne Brandt Christensen, lawyer with focus on human rights and lector in global human trafficking and gender studies at DIS, held a presentation about the legal aspects of human trafficking and the Danish legislation in the area.Read more about the workshops for volunteers and sign up here. HopeNow’s primary work for and with trafficked people is focused on the individual, for whom we provide counseling, trauma therapy, social activities and legal support. HopeNow also plays a significant role, as one of the NGO’s that contributes directly to the identification of trafficked people in Denmark. In 2013 HopeNow identified 26 people as trafficked, 23 of these cases was officially recognized as trafficked by the Danish Immigration Service. In total 76 people were identified as trafficked in 2013 in Denmark. It’s crucial to be officially identified as trafficked, because it changes a person’s legal status. Instead of being treated as a criminal, they are regarded as a victim of the crime of human trafficking and have access to assistance and support from the Danish state. HopeNow works for and with people who are identified, are in the process of identification and vulnerable people, who do not wish to be identified, because they are coerced by their traffickers.In 2014 HopeNow has so far submitted a written declaration for 19 of the hundreds of potentially trafficked people, we have been in contact with during our daily work. This identification document is called a 1A and is submitter to the Centre against Human Trafficking. Out of the 19 identified so far in 2014, 11 were trafficked to prostitution, while 8 were trafficked into forced labour or criminal activities. Two of these were never officially identified as trafficked, because of the way the case was dealt with in the danish administrative system. HopeNow also provides ongoing services, legal and family orientated counseling for 5 trafficked women who are already or are in the process of becoming residents in Europe. HopeNow attended the Church in the Cultural Center’s Party with a purpose, which is a part of the society Woman to Womans yearly conference for several hundreds of women who seek positive change in their lives. Emmelie de Forest played her popular music, actress Terese Glahn did a personal performance and there was a fundraising campaign for HopeNow and the work against human trafficking. 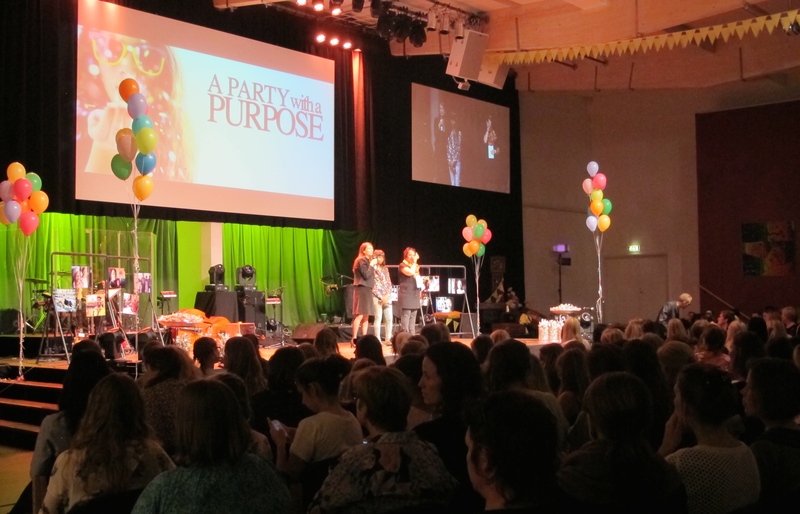 Merete Tangsted is the force and inspiration behind this women’s church conference which takes place every year and raises funding for HopeNow. We would like to thank her and the sponsors behind this years event; MENU, Muuto and three hotels, who donated prizes for the lottery. The founder of HopeNow, Michele Mildwater, talked about HopeNow’s effort to improve the conditions for trafficked women in Denmark and human trafficking in general. Michele invited Joy, a former trafficked woman, who HopeNow has worked with for several years, to join her at the stage. Joy talked about the support she has received from HopeNow, that has enabled her to learn to read, write and start her own business. Previously Joy has told her touching story at the Betty Nansen theater in cooperation with HopeNow in the performance TRUST, which you can read more about here. The Civil Society Fund (CISU) has held an after-work meeting about how NGOs work most efficiently with human rights. CISU invited HopeNow’s project officer Sune Barker to talk about how theory works in practice.Sune talked about HopeNow’s experiences with developing partnerships with NGO’s in Nigeria and East Africa. HopeNows primary work relates to trafficked people in Denmark, but it is important to be able to follow up on the people who are send back to their country of origin by the Danish state. In this way the partnerships ensure consistency in our work with trafficked people. Also the partnerships enable HopeNow to work preventively against human trafficking. The meeting at CISU was inspirational and the participants got the chance to share experiences about working with human rights based advocacy. HopeNow contributes to a European campaign called Used In Europe made in cooperation with the NGO Platform, organized by the Dutch organisation La Strada International. The campaign will bring into focus the exploitation of trafficked people to forced labour. There has emerged an increased international attention towards this area, which until now seldom have been in the public eye. Men and women are trafficked to forced labour in Europe, which this campaign documents and brings into focus in cooperation with 28 anti-trafficking NGO’s in Europe.The 18th of October HopeNow marks the European Anti-Trafficking Day with an event to raise awareness of the issue of forced labour and launch the campaign. Read the invitation to the event here. Elesha Edmond from New Zealand visited HopeNow last year to make a filmproject. In this connection she observed the work of HopeNow and got into contact with a number of trafficked women, who worked in prostitution in the streets of Copenhagen. Elesha was deeply touched by this meeting and wanted to contribute to the fight against human trafficking. Now she has fundraised 2.750 kr in her private network, which she has donated to HopeNow’s work with trafficked people. Elesha Esmonds supports HopeNow’s direct and personal work with trafficked people. She writes:“Michelle Mildwater and her amazing team at HopeNow are perfect examples of people willing to go out and face the faces of trafficking, rather than dwelling on the figures. I think it’s about time society did the same.”HopeNow is very grateful for the generous donation, which gives us extra resources to do our work with trafficked people in Denmark. HopeNow marks this years Anti-Trafficking Day by bringing into focus the exploitation of trafficked people to forced labour. Attend our event the 18th of October from 13.00-15.00, where the European campaign Used in Europe will be launched. See the invitation here. HopeNow has arranged a number of workshops for our dedicated volunteers. 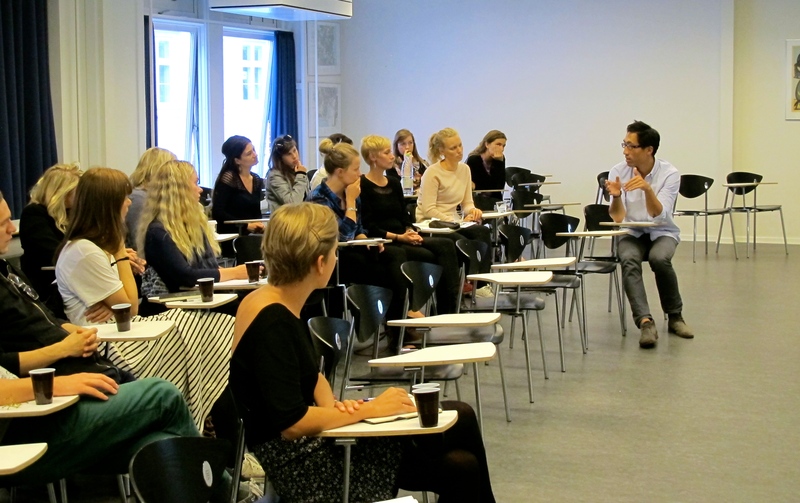 We wish to educate our volunteers and give them tools for the work with and for trafficked people in Denmark. The volunteers will be taught by experienced psycho- and trauma therapist, experts in human trafficking and african culture and history. Sign up for our workshops for volunteers the 27th of October, 14-15th of November and 28th of November here.